Bob the Birder: Good day in N.Warks. A very eventful and enjoyable day in North Warwickshire starting as usual with the muddy climb up the hill at Mancetter. No sign of yesterday's Ring Ouzel but a male Redstart was a good find until it was chased off its fence by a pair of Robins. 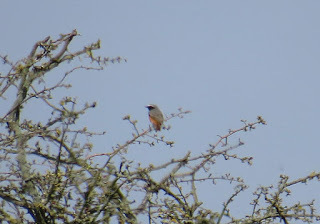 Moving on to Alvecote the weather was now very pleasant and it was nice to sit down and watch the goings on on Mill pool and would you believe it another male Redstart, this one being hassled by a Reed Bunting.There was also a Common Tern over the water. I was pretty chuffed at finding 2 Redstarts so decided to call it a day and head home for a cup of tea but no sooner had I put the kettle on when on checking my pager I was heading for Shustoke Res. where a Black necked Grebe had just dropped in. 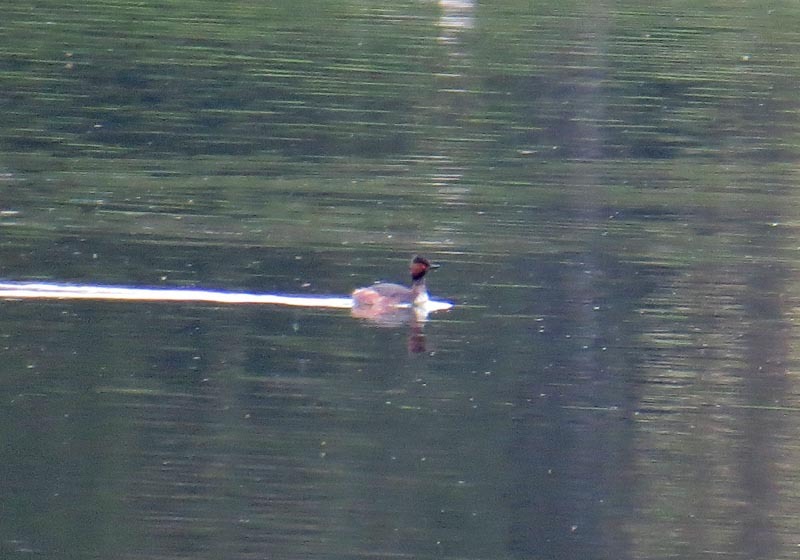 Black necked Grebe, Shustoke Res. 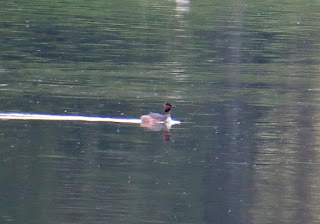 Two more Common terns were also seen at Shustoke. A good Birding day in North Warks.